Until now Intel has developed only one chipset for the Pentium 4 processor which is the i850. The chipset is not that bad but it costs a fortune. 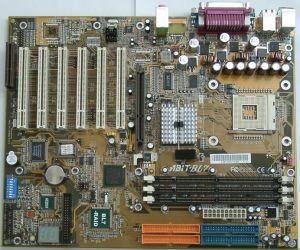 The Intel Pentium 4 + i850 + RDRAM combo has an unjustified price. 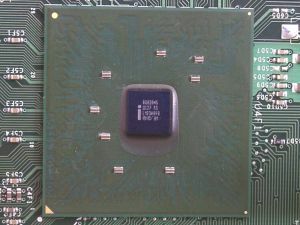 Recently Intel decided to stop production of Pentium III processors and to replace it with a low-speed Pentium 4 models. Since in a number of applications their performance is the same, we just have to pay more, don't we? If Intel Pentium 4 based systems drop in prices it will be a rational way-out. 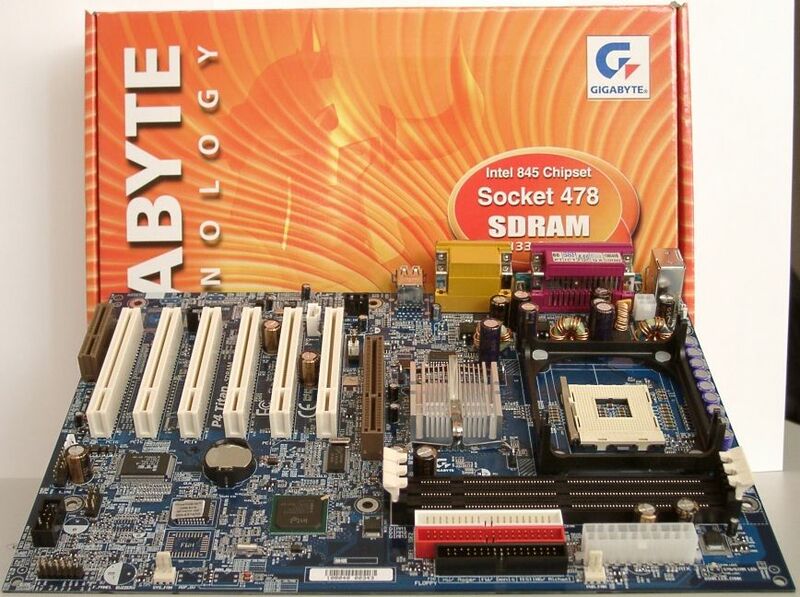 One of the solutions is to match the Pentium 4 with SDRAM and DDR SDRAM. It is interesting that the new chipset for the new processor works with the old memory type! 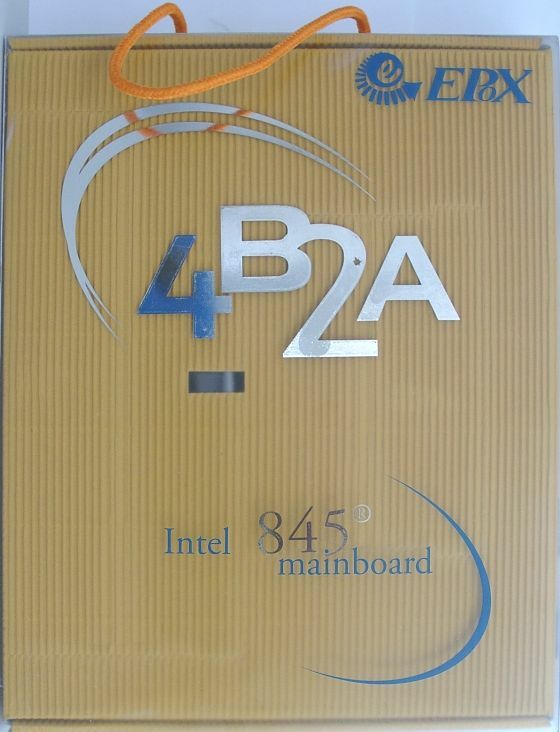 We, thus, have got a new, cheap and, therefore, popular chipset for the Pentium 4 - i845 (aka Brookdale). Of course, the cheap memory and the low-cost chipset is an obvious advantages of all solutions on such a processor. But the first versions of the Brookdale work only with SDRAM. But where is the DDR SDRAM support? The answer is simple: Intel has meaningly come up with such a solution until the term of the contract with Rambus ends. 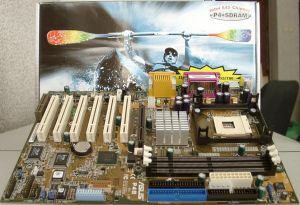 All famous board makers already have finished products with DDR SDRAM support (though they haven't been launched yet). According to Intel, The i845 lacks for the DDR SDRAM support since the company hasn't finished testing it with all current DDR SDRAM types available on the market. Thus, the VIA P4X266 chipset can't work with all DDR SDRAM types. But I hope in the beginning of 2002 we will see the i845 chipset with a normal support of all types of DDR SDRAM memory. 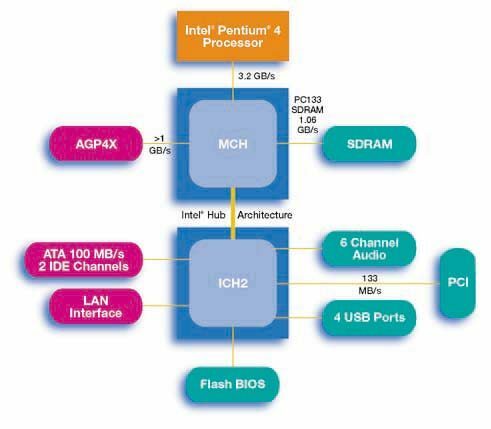 The i845 features a greater RAM than the i850 does, but it uses the same ICH2 with the the maximum of 4 USB ports, AC'97 v2.1 specification and 1 memory type - PC133 SDRAM. This chipset is very similar to the i8xx series: it has the Intel Hub Architecture with 266 MBps bandwidth, ICH2 South Bridge and North Bridge with 3 GBytes memory support. Unfortunately, the i845 supports only an asynchronous operation of the FSB and the memory buses. The only FSB frequency for the Pentium 4 is 400 MHz. But some boards have a jumper with a "133 MHz" writing on it. 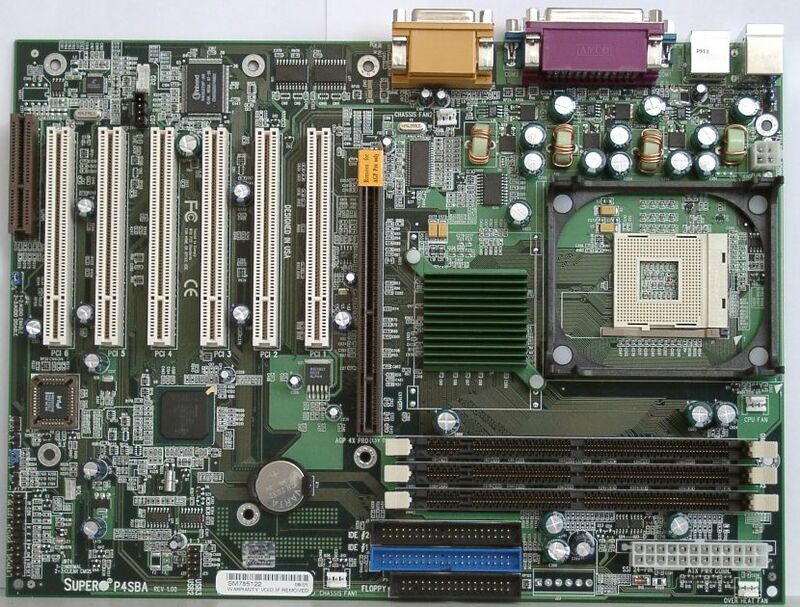 So, I assume that the board has the respective divisors for AGP/PCI and supports a higher FSB bus. The board is packed in a large box of the typical design. The box contains a great heap of accessories: ATA66/100 and FDD cables, an installation manual and a CD with software. Besides, there is a bracket with an additional USB port for the rear computer panel, and a cooler from Foxconn. 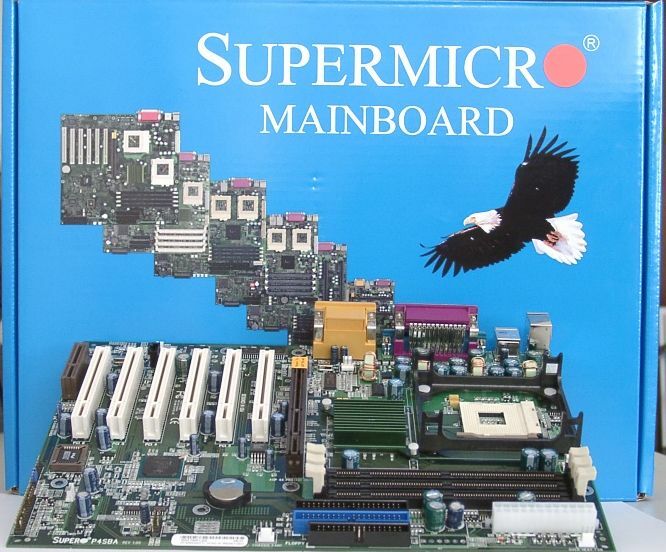 The CD contains drivers for different versions of Supermicro boards based on the i8xx chipsets from Intel, their descriptions in .pdf, Adobe Acrobat Reader v5.0, Intel LANDesk Client Manager 6 (LDCM) and DirectX 8.0. The set of functions is not abundant, but it is not scanty either. 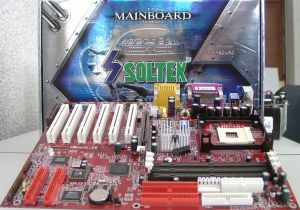 The board is designed in the USA according to the label on the board, and the assemblage is of high quality. 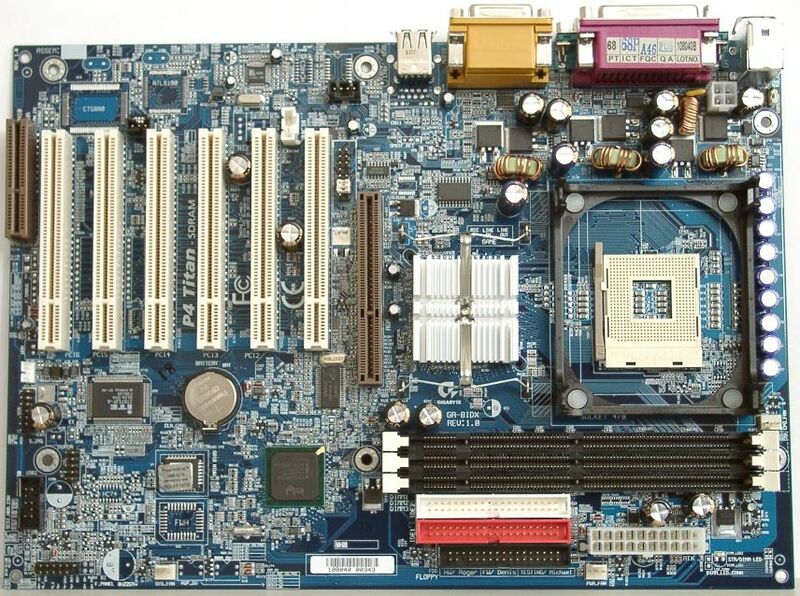 The only drawback is that CD-in connectors are placed in front of PCI slots and this can make an access to them difficult. The ATX power supply connector has 24 pins against usual 20. But you may use a usual power supply unit - it should be, however, rather powerful. The north bridge (MCH) is equipped with a low-profile heatsink. And it really makes no sense to place giants on a chip without an integrated video adapter. The board has only 3 switches: to clear CMOS, enable/disable an integrated audio codec, permit/forbid a computer start-up from PS/2 devices. All configuration settings are hidden in the BIOS. The BIOS is unexpectedly based on the Medallion 6.00 from AWARD. There you can adjust memory timings, operation of the AGP bus and change a processor multiplier (it is interesting that it isn't locked in this pre-production sample). 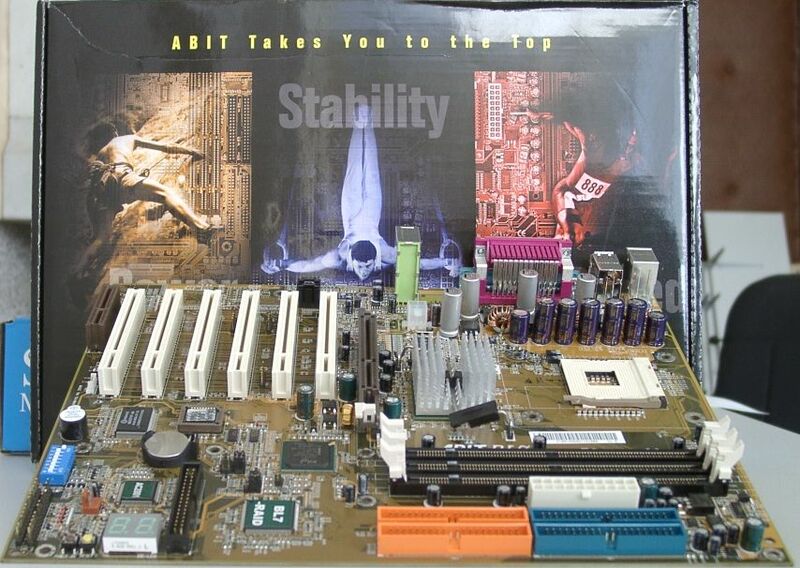 Well, this high-quality board won't probably show the best speed but the stability will be outstanding. 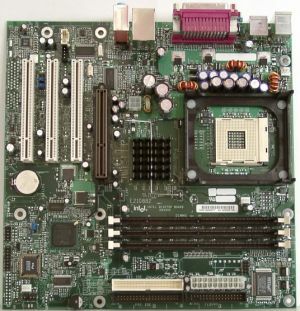 This board is just a pre-production sample, that is why it is supplied only with a user's manual, 2 CDs, an ATA100 cable and a bracket for the rear computer panel (because of the non-standard positions of the ports). The board has a MicroATX format. 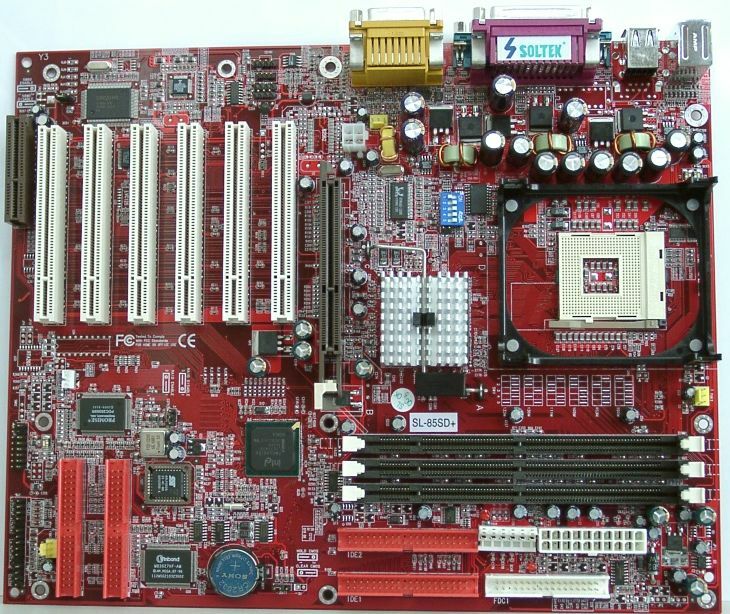 It carries 3 PCI slots and has an unsoldered place for a CNR slot. The quality of the board is high. It features an AGP Retention Mechanism to prevent wrong installation or falling out of a video card. It is not clear, though, why the second serial port is located right on the board. The layout is not very convenient because of the format. It has only one switch for BIOS recovery. You can also enter the BIOS menu and change a CPU multiplier. But there are also unsoldered switches to change Vcore and a FSB frequency. The BIOS based on the Phoenix BIOS offers few possibilities in changing settings. 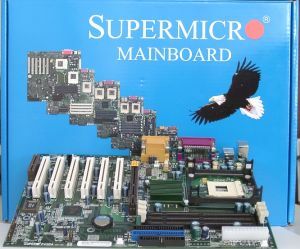 This board will be an excellent choice for those who don't like dealing with board's insides and wants only a stable product. This model is positioned as a mainstream product. The box contains a user's manual, a brief description of the mainboard and installation instructions, a bracket with SPDIF-outs (optical Toslink and coaxial connectors), a bracket with two USB ports, ATA66/100, ATA33 and FDD cables, jumpers, a sticker with the Asus' logo, a sticker with the description of the switches and a CD with drivers and software. The CD with drivers has a new shell for installation of its programs and drivers. There are such utilities as Winbond Voice Edit (for recording wav-files in EEPROM for realization of the POST Reporter technology (it notifies about booting problems), Logo (for creation of different screensavers), AsusUpdate and AsusHotkey. Of course, there is also a utility for monitoring fan speeds and temperatures - Asus PCProbe, and freeware programs such as Adobe Acrobat Reader, PC-Cillin 2000 v. 7.0 from Trend Micro, Power Player SE 5.0, VideoLive Mail 4.0 from CyberLink and 3Deep for adjusting color balance. 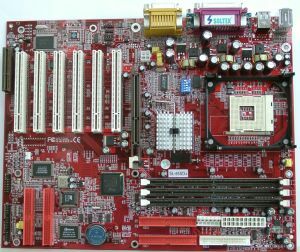 The board incorporates the most popular set of slots: 6 PCI and 1 CNR. Besides, there are a lot of additional connectors. The most interesting are AAPANEL &AFPANEL - for iPanel connection, a connector for audio-outs on the front panel, a connector for reading smart cards and for reading Secure Digital and Memory Stick cards. Some connectors, however, can be difficult to reach because of installed expansion PCI cards (I mean such connectors as meant for audio-ins, for additional USB ports and for front audio-outs). Another interesting connector is designed for the EzPlug technology: if your power supply unit lacks for a separate 12V cable you can use a usual 5/12V one. However, at low CPU frequencies additional power supply is not always necessary, while at higher frequencies you are to have a more powerful power supply unit (some 300W). The AGP slot is equipped with a clamp to hold a video card tight. As a usual, apart from the integrated monitoring, the engineers supplied the board with the AS99127F chip which is installed in the place of the additional thermistor. The board features several jumpers (for changing a FSB frequency, a CPU multiplier and memory voltage). All other settings are hidden in the BIOS. The BIOS is based on the v. Medallion 6.00 from Award and contains a heap of various settings. You can change a FSB frequency in 1 MHz steps, change a correlation of the memory and FSB frequencies, adjust memory timings, manually distribute interrupts among PCI slots etc. The board looks very attractive: it combines rich functions and a stylish design. This production sample was packed in a usual dark box. Inside there are such accessories as a user's manual, ATA66/100 and FDD cables, a bracket with a Game-port, a bracket for the rear computer panel, a diskette with drivers for the IDE Raid and a CD with board drivers. Unfortunately, there wasn't a mount for a cooler, that is why we had to use it from another similar board. The CD contains a standard set of Abit's programs: a DVD player - WinDVD, Hardware Doctor, Adobe Acrobat Reader and Buzzsoft's programs - SoftCardManager, SoftCopier, SoftPostCard, SoftBulkEmail and a utility for a low-level formatting of hard discs from Award. The board is quite convenient. The only disadvantage is position of audio-ins. 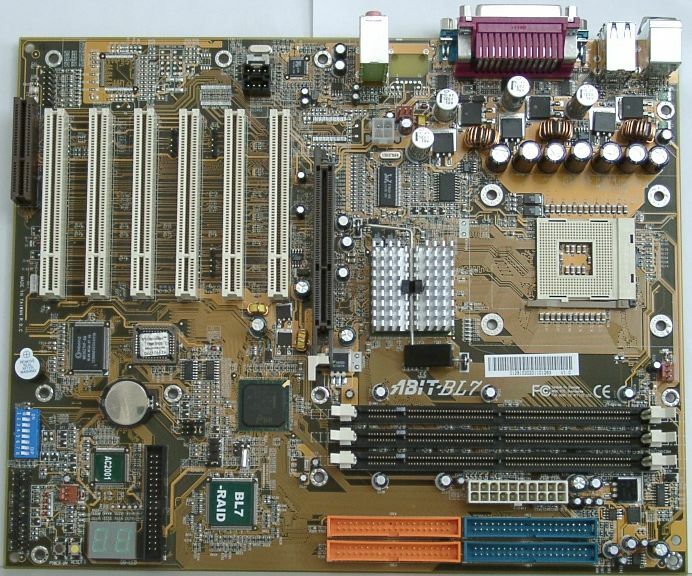 The board carries the Abit Engineered technology. Therefore, it has two 7-segment LEDs (so that we know how loading proceeds), power and reset buttons onboard and overclocking stripes. But the latter are, for some reason, absent. Besides, there are 5 3300uF, 2 1800uF and 4 1200uF capacitors to make the board more stable in an overclocking mode. There is also an unsoldered place for a chip and tracks coming from it to unsoldered connectors with USB_AB1 and USB_CD1 writings. The IDE Raid is a rather cheap and good way to increase the performance of the disc subsystem. The switches provided will help you change processor modes, clear the CMOS etc. The BIOS is based on the v6.00PG from Award and features the SoftMenu technology to overclock the processor. Here you can change a memory frequency in 1 MHz steps (from 100 to 250MHz), change a FSB speed, change a CPU multiplier and Vcore. You can also alter a correlation of FSB, PCI and memory frequencies. Besides, you may adjust the AGP bus and distribute interrupts among PCI slots. Such a high overclocking potential of the board doesn't prevent it from working stably at rated and higher frequencies. EPoX takes this board very seriously. It has meaningly designed the package in the form of a plastic bag, like that of the 8KTA3+ model. Wide functional possibilities and high quality of the boards were always the company's pride. Unfortunately, two latest boards lack for IDE Raid and for a device displaying how the POST procedure passes. The board comes with a user's manual, ATA66/100, ATA33 and FDD cables and a bracket with two additional USB ports. Besides, there is a CD with such programs as Norton Ghost 6.03, PCCillin 2000, Boostek (a utility for a CPU overclocking from the Windows) and several system monitoring utilities. There are several drawbacks in the layout. Power supply connectors and audio-ins are not in the best position, and memory slots will be hard to reach with a video card installed into an AGP slot. But the stability of the board is as always super: there are 3 3300uF and 10 2200uF capacitors. Besides, there are several switches which will help you to clear the CMOS, to start up the system with the help of a keyboard etc. The BIOS based on the v6.00 from Award contains a lot of settings for memory modes. You can also manually distribute interrupts among PCI slots. Overclockers will be glad to see a possibility to change a FSB frequency in 1 MHz steps, Vcore in 0.025V steps, voltage of the AGP bus in 0.1V steps and of the memory in 0.1V steps as well. Besides, we can manually change a correlation of FSB, memory and PCI bus frequencies. Well, this board seems to have the best overclocking potential. Let's wait for the test results and see whether the performance is high as well. Inside the silvery box the board has arrived in there are ATA66/100 and FDD cables, an additional thermistor, a diskette with IDE Raid drivers, two descriptions for the motherboard and for the freeware programs, and 2 CDs with programs and drivers. 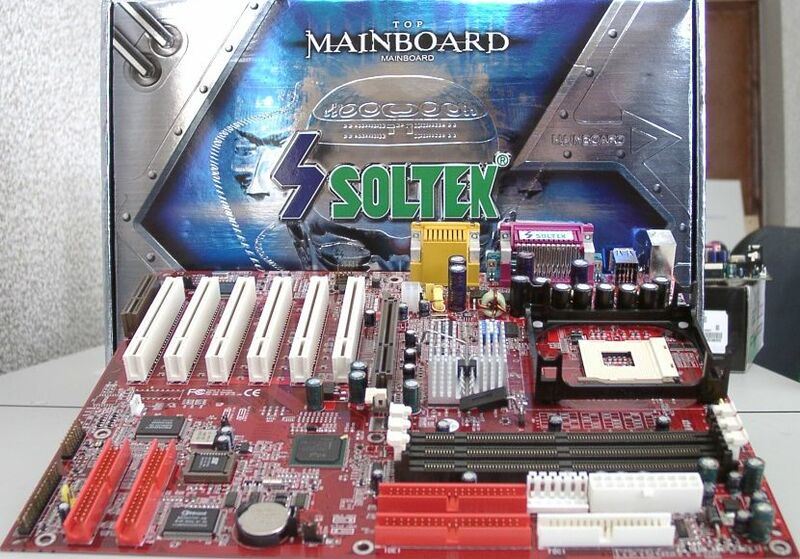 The first disc contains drivers for different Soltek boards, descriptions of a great deal of Soltek boards in .pdf, Adobe Acrobat Reader 4.05, BIOS! files for these boards, utilities for system monitoring and for overclocking of the processor from the Windows. The other disc has such programs as Virtual Drive 6.01, Drive Image 4.0, Partition Magic 6.0 SE and PCCillin 2000. This is the first model in the "Red Lightning" series but whether it works as fast as a real lightning the tests will show. 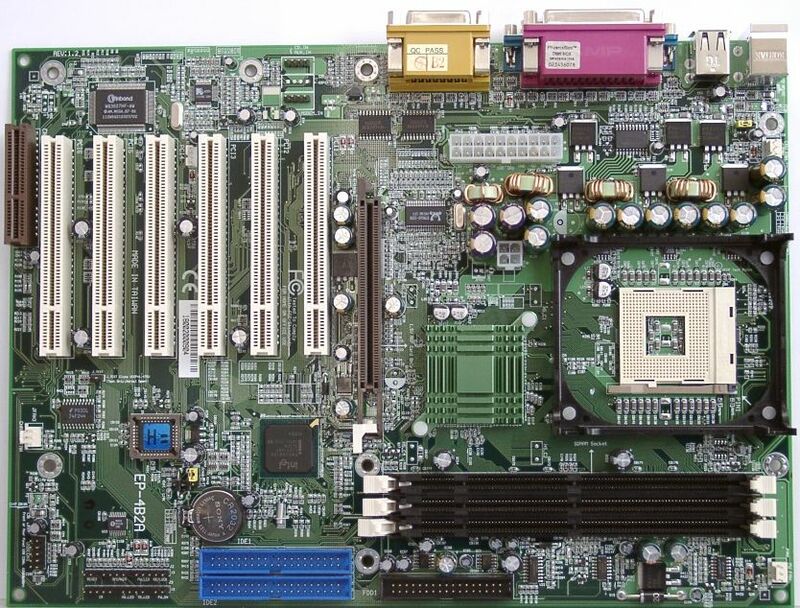 Nevertheless, the board is equipped with an IDE Raid on the Promise chip and with the CT5880 chip which also allows speeding up because the CPU is not occupied with sound processing. Such a rich set of functions has caused some imperfections in the layout. For example, it will be difficult to insert memory modules with a video card being already installed into an AGP slot, or you can face difficulties when connecting cables to audio-ins and IDE Raid connectors if expansion cards are installed into PCI slots. The AGP slot features a clamp which will be very useful for you. 12 LowESR capacitors of 2200uF will ensure the stability. There are also several unsoldered connectors and places for chips, for example, there is a place for a network controller and for a sound diagnostics chip (VDTech-II technology). There are as well several switches to help you clear the CMOS, enable/disable audio controller functions and the IDE Raid and change a FSB frequency. The BIOS is based on the v.6 from Award and contains a heap of settings, such as fine regulation of memory timings, manual distribution of interrupts among PCI slots, adjustment of AGP and PCI buses. The board also incorporates the Red Storm and Smart Doc technologies. Overclockers will find very useful such features as a changeable FSB frequency (in 1MHz steps), changeable Vcore (1.1 - 1.85V, in 0.025V steps). Voltages of the AGP bus and of the memory can be also regulated (1.5, 1.6, 1.7V and 3.3 - 3.6, 0.1V step, respectively). This board is the first in the P4 Titan series. We have received, however, only a pre-production sample. The design of the package has changed. 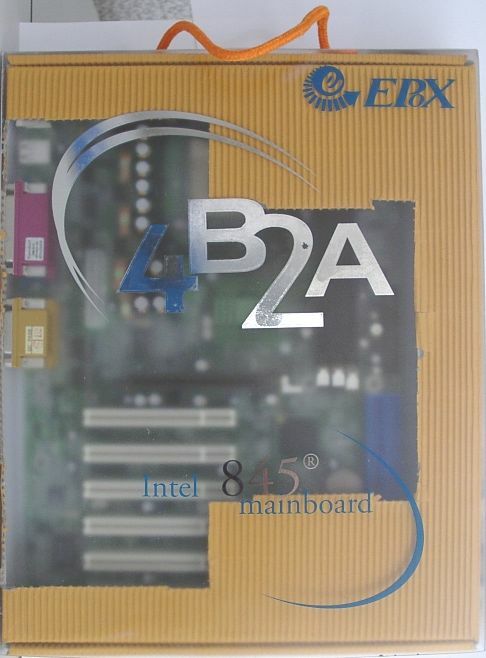 The board is traditionally based on the blue textolite. Inside the box you can find an ATA66/100 and FDD cables, a bracket with two additional USB ports, a bracket for the rear computer panel, a user's manual and a CD with drivers and utilities (for example, for CPU overclocking from the Windows, for system monitoring, Norton Antivirus 2001, Norton Personal Firewall 2001, Adobe Acrobat Reader 4.05 and ITE SmartCard Editor). 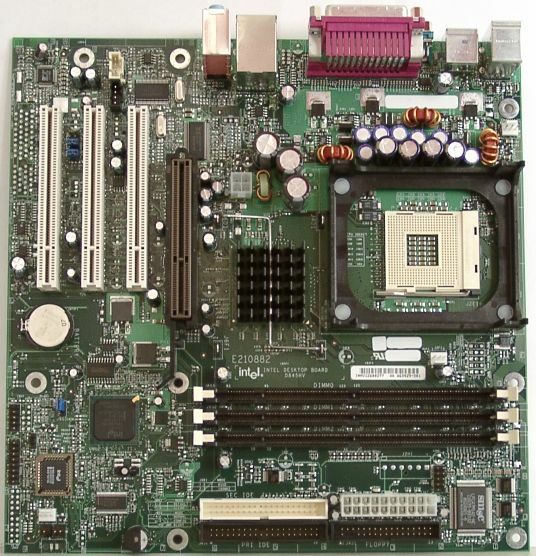 The board has a lot of unsoldered connectors and places for chips, for example, for a network controller, an audio controller and the second BIOS chip. The Creative CT5880 chip is replaced with an AC'97 codec. The DualBIOS technology is absent, but there is a SmartCard reader connector. Besides, there is a connector for audio-outs on the front panel. 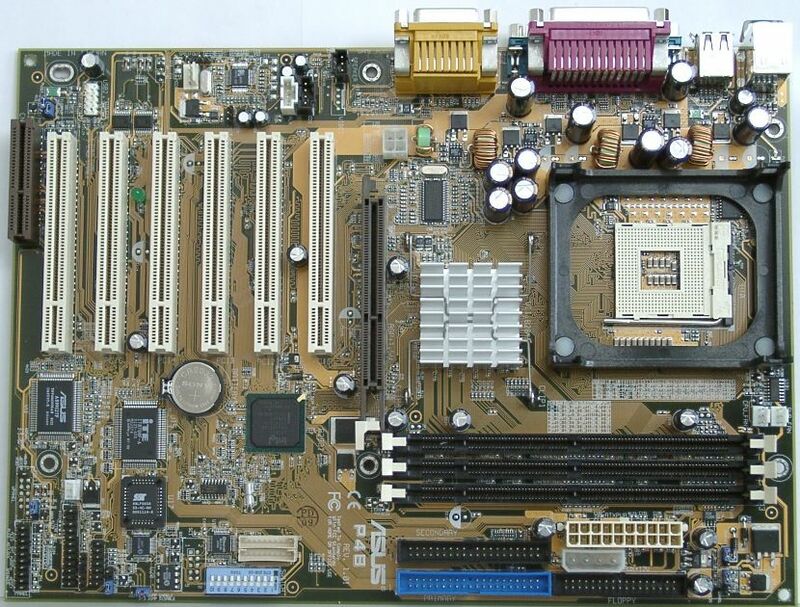 To ensure a stable operation of the board the developers have equipped it with 3 3300uF, 3 1500 and 9 510uF capacitors. There is only one switch which allows turning on the computer with the help of USB and PS/2 keyboards and mice. 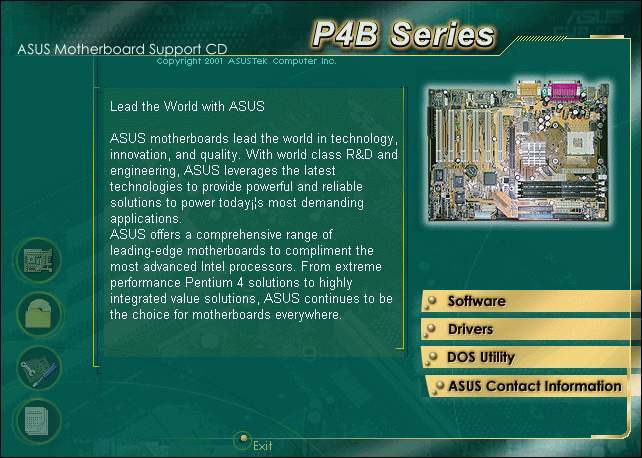 The BIOS is based on v6.00 from Award. Apart from manual distribution of interrupts and adjustment of memory timings there is a possibility to change a FSB frequency in 1 MHz steps, Vcore (1.050-1.825V, in 0.025V steps), memory voltage (3.3-3.6V, in 0.1V steps) and AGP bus one (1.5-1.8V, in 0.1V steps). The performance of almost all boards is equal. 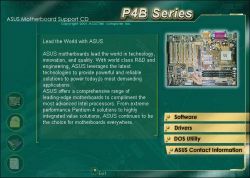 The Intel is, as a rule, a bit slower than the others, while the ASUS and Soltek outperform a little their competitors. The diagrams clearly show that when choosing one or another board there is something more important than the performance. So, what's it? Apart from a great overclocking potential, these boards feature as well a UATA/100 IDE RAID which will help you overclock a disc subsystem if you have two hard discs. 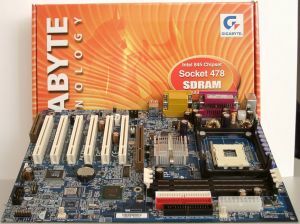 The Abit's board can boast of a very powerful overclocking tool - POST-card, while the Soltek's one can be proud of a solid RAID chip from Promise and of onboard sound based on the Creative chip. Well, whichever you may like, both are very good. These are more universal boards, though overclocking features are also present. You won't find there PCI sound, POST-card or IDE RAID, but everything necessary for an ordinary overclocking is provided. Besides, they are highly stable boards. By the way, we are very glad that the Gigabyte boards have at last received all useful for an advanced overclocker features. The trump of these cards is reliability. 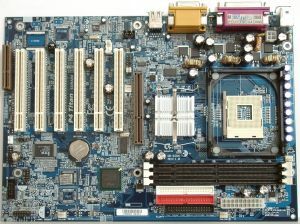 The Intel and Supermicro boards will be an excellent choice for those who are not very interested in overclocking. These highly stable and reliable boards will suit low-level workstations and average desktop PCs. 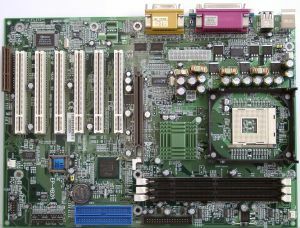 Although the Supermicro P4SBA works at a faster speed, the difference is almost unnoticeable.